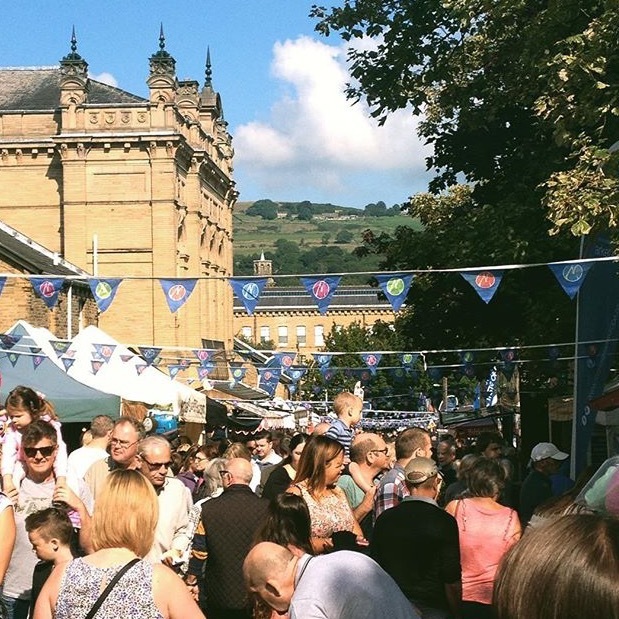 The annual Saltaire Festival is one of the highlights of the year, concluding this weekend 17th - 18th September, and is an unmissable event for just about everyone, from foodies to families, and anyone who just wants to try a cider slushie. The festival takes place across the picturesque village, and World Heritage Site, of Saltaire Village, just on the outskirts of Bradford. The event has grown greatly since it's inception in 2003, now covering 2 weekends and the week in between. The first weekend celebrating the history and heritage of the village, with the festival concluding in the second weekend with the ever-popular Food & Drink market and the Handmade Alternative market. The best place to start at the festival is Roberts Park, a short 2 minutes walk over the bridge from the train station.In the park you will find pop up bars selling real ales, experimental ciders and soft drinks for the kids and well as food stalls from hundreds of local suppliers. There's also plenty of fun & games for the kids to enjoy whilst you soak up the live music on throughout the day. After the park you can then take a walk up Exhibition Road where you'll find even more food and drink in the continental market, as well as stalls selling just about everything else - jewelry, clothing and art. Popular mainstays of the continental market include the exotic meat stall, where you can get a kangaroo burger, and the paella stand, a simple tent with two HUGE pans making the best paella you will ever eat. After you've eaten all you can eat and spent your money on an handmade notebook and some local jewelry you can spend some time taking in the sites of Saltaire. My favourite attraction, and one of the most popular, in the village is Saltaire Mill. 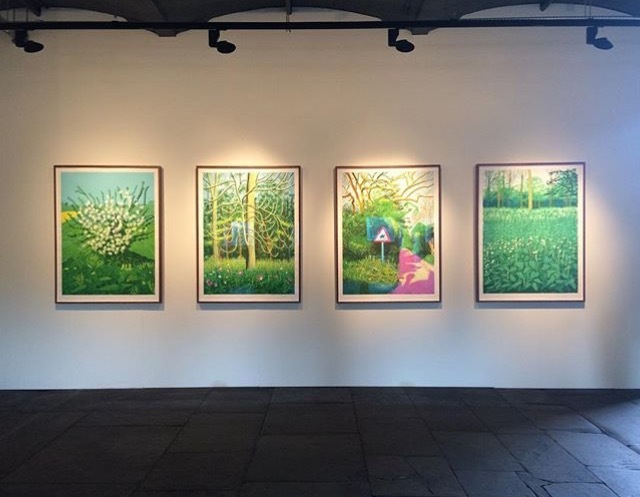 In the mills you can learn about the rich history as well as checking out David Hockneys Arrival of Spring exhibition. Saltaire is easily accessible, you can drive but parking is usually a small nightmare and if you're driving you won't be able to take full advantage of all the alcohol on offer. The easiest way to get to the festival is by train, you can get a 15 minute train from Leeds train station to Saltaire train station and you'll immediately be in the heart of the action.